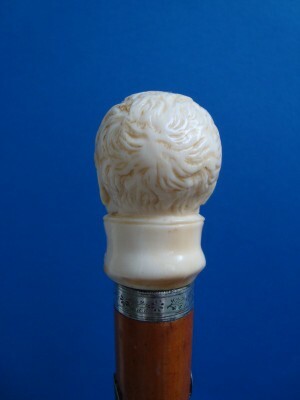 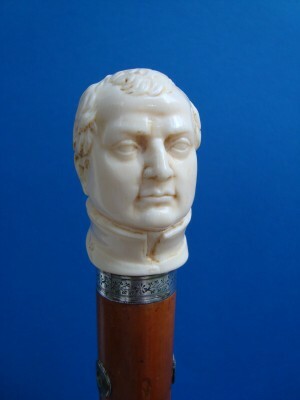 Walking cane with an ivory knob with a bust of a man beginning of the 19 th century. 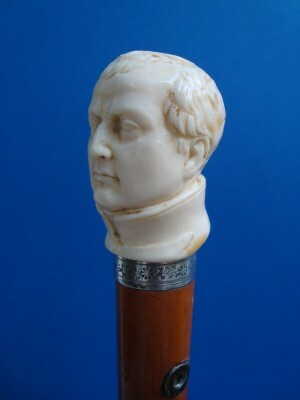 The handle is fitted on a silver engraved collar and a malacca shaft with silver eyelets and an engraved brass ferrule. 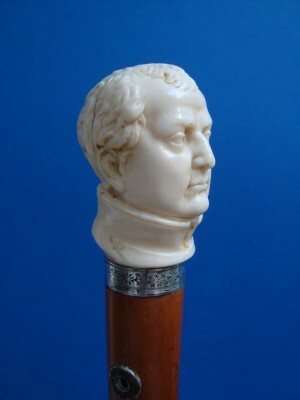 Knob´s measures: Hight 5 cm, 2 ", wide 3 cm, 1,2 ", overall length 93 cm, 36,5 ".